We are a 501c3 charitable organization dedicated to supporting educatio﻿﻿n, recreation and conservation programs that enrich our community. 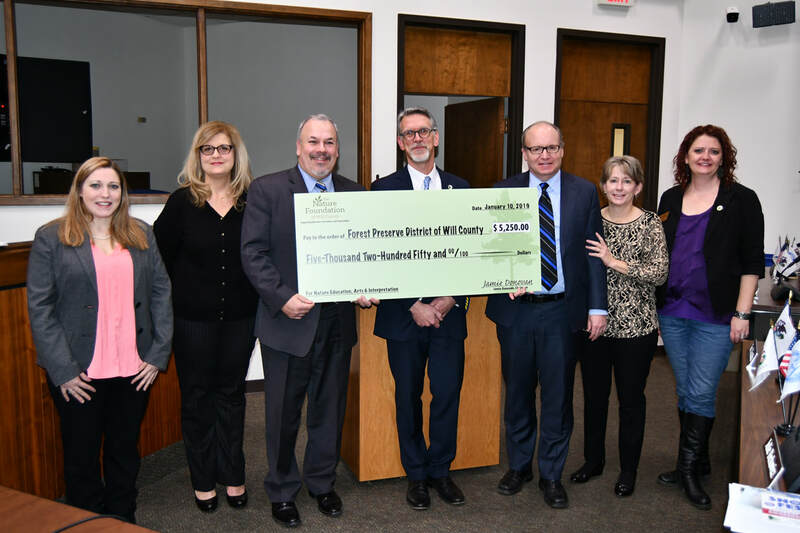 The Nature Foundation of Will County is a volunteer organization committed to raising and administering funds in support of the Forest Preserve District of Will County's education, recreation and conservation efforts. The Foundation is guided by a volunteer board made up of individuals from throughout Will County; individuals that are leaders in their respective communities and are passionate about the Forest Preserve, its mission, and furthering the goals of the foundation. The Nature Foundation of Will County works to create a legacy of giving that supports and celebrates the preservation, conservation, education and recreation priorities of the Forest Preserve District of Will County in perpetuity. We envision a vital, dynamic and self-sustaining foundation that is committed to cultivating relationships and partnerships within our community that directly benefit the Forest Preserve District's ability to protect our environment and deliver programs and services to its constituents.